And here is another XBox Title for the Windows 8 devices. Note this is for high-end devices, see Requirements and the Size: 1.22Gb! The Cold War ignites when ’80s era action toys come alive and wage war! 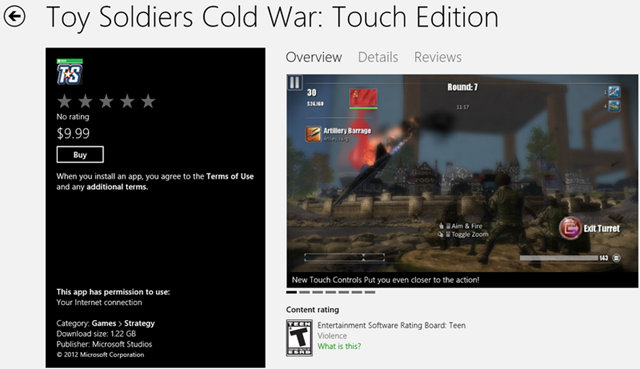 Toy Soldiers: Cold War Touch Edition delivers hours of intense combat combined with non-stop action strategy gameplay, now redesigned for tablets and touch-enabled PCs running Windows 8! Superpowers collide in this playful homage to ’80s action toys and films. Command the powerful Cold War arsenals of the USA or USSR armies, while controlling base turrets, modern combat vehicles, fighter jets, attack helicopters, and commando action figures. When not fighting in a campaign vie for the highest scores on the mini-game leaderboards, and while you’re at it, don’t forget to BLOW EVERYTHING UP! 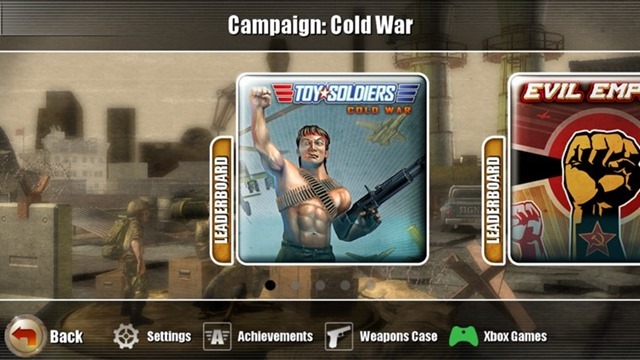 In addition to the main campaign, includied with the Windows 8 version are both the NAPALM and EVIL EMPIRE add-on campaigns from Xbox LIVE® Arcade. Fight alongside your favorite Commando again while pushing into the jungles of the Viet Cong in NAPALM and join Ivan in the fight against a rising super power in EVIL EMPIRE. 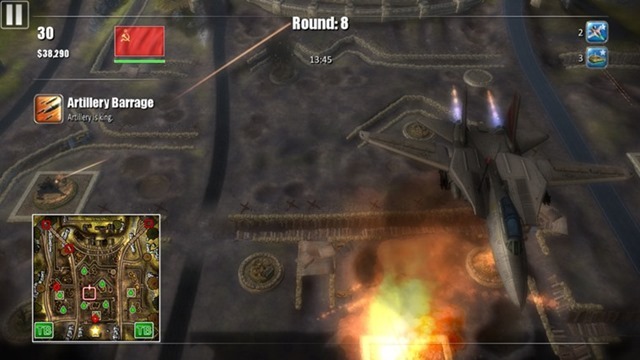 • NAPALM and EVIL EMPIRE campaign add-ons from the 360 version are included in the Windows 8 Touch Edition. • 17 Campaign levels , each with 5 levels of difficulty – Casual, Normal, Hard, Elite and General. • 5 Survival maps with 5 different modes provide endless waves of enemies; the ultimate test of your mettle on battlefield. • 8 unique Minigames – Dominate your friends’ scores on the leaderboards for each minigame! • 32 different usable turrets and vehicles – take control of any turret or vehicle to change the tide of the battle in your favor. 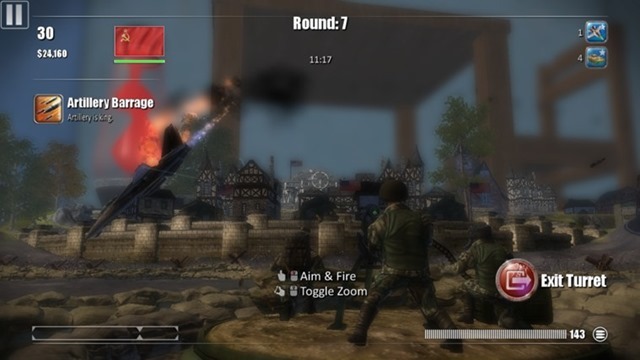 • “Wavelist Rewind” checkpoints allow you to rewind the battle to replay a previous wave and destroy all of your foes. Min Spec (Tablet): Storage: 2 GB for Game Application, Screen: Touch screen supporting a minimum of 5-point digitizers and resolution of at least 1366×768. Min Spec (Tablet): Screen: The native resolution of the panel can be greater than 1366 (horizontally) and 768 (vertically). Minimum native color depth is 32-bits. Well for those of you doubting the High-end game experience on Windows 8, here you go. Of course this is not for the ARM tablets and SurfaceRT, these are kind of game you play with a dedicated fan blowing on your rig. ARM processor can only dream of such a performance. So if you’ve got your rig ready, and you’re allowed to play violent game, i.e. you’re starting to grow a beard or anything above that stage, go ahead and download the app via the Source link. It’ll cost you $10. Previous Previous post: Angry Birds Space Has Entered Windows 8 Universe!